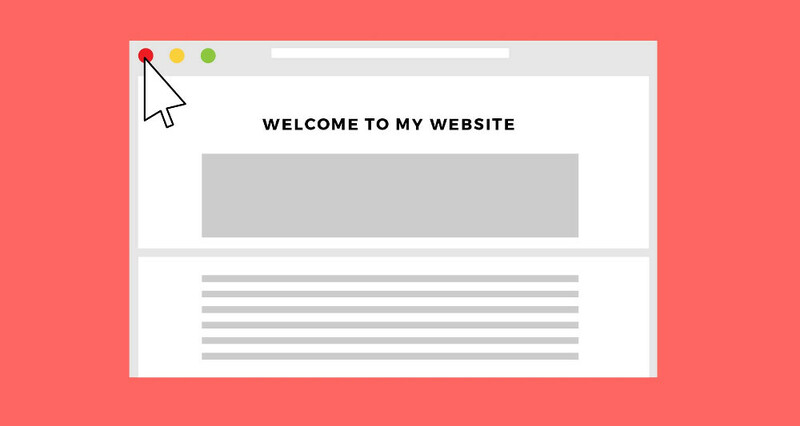 When creating a website, your first goal should be to attract as much visitors as possible. After spending a lot of time to build a site to your image, it would be disappointing for it to never be seen! Attracting people to your site is one thing, but making them stay for more than fifteen seconds is another! The goal? Lower the rebound rate, the percentage of Internet users that lands on your home page and then leaves without viewing any other pages. Here are five reasons why people leave your website and solutions to easily address them. Nowadays, life goes so fast that any loss of time may also result in a loss of interest. Losing precious minutes waiting for a web page to download when it would be quicker to consult another page with the same content as yours? No thanks. You can have the best product idea, but if your pages are so full of content that they don’t load quickly enough, you will lose a lot of visitors within seconds. 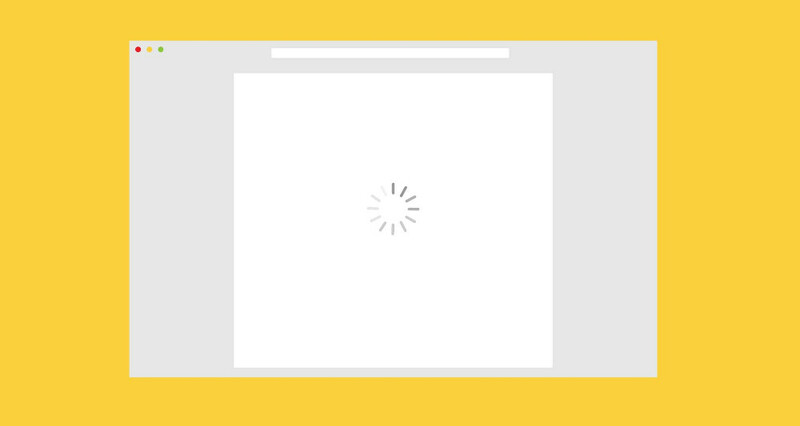 Solution: Refine your content and make sure it is not too loaded. Adding multiple photos, videos, music and texts that never end, are the main causes of a slow download, so divide your content into different pages and remember that sometimes, "too much is like not enough"! Quality content has to be relevant, clear and legible. When you arrive on a site and you don’t understand what product or service they are tying to sell, you quickly want to leave, right? A short description of what you do or what you sell should always be on the front page. Also make sure your website contains no spelling or grammar mistakes. A site full of spelling mistakes takes away your credibility. Same for blurred images: avoid them! Solution: It’s important to understand that the homepage makes all the difference on the interest of the visitor, on the other hand, keep some content to create more interesting and more detailed pages. You provide roof repairing services? A simple description is necessary on the home page, in addition to a page dedicated to "My services" with more detailed descriptions, prices, your guarantees, etc. 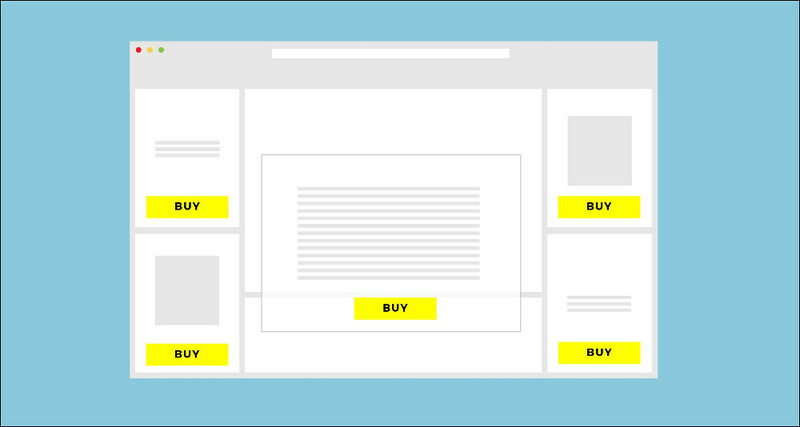 Nothing will irritate your visitors like pages full of ads that makes it to navigate through your site. Admit it, it would bother you too! Besides being annoying, many commercials can cause a lack of confidence and without confidence, people will not want to buy whatever you are trying to sell them! A website is a great promotional showcase for your products or services but make sure your pubiclity is relevant to your visitors and related to the rest of the content on your site. Solution: Advertising is important because it is probably a safe source of revenue for your business, but be smart about it. Try different approaches depending on the product and your target audience: your ads should interest your customers without annoying them. Too many people aren’t aware of the power of first impressions. Encouraging people to stay longer than a few seconds on your home page is a challenge, but with an interesting design, the curious of this world will want to see more! Use beautiful fonts, quality images and a powerful visual and people will never want to leave your site! Transparency is an important element to consider when you want to encourage people to stay as long as possible on your site. Your offers must be clear and precise. People don’t have time to "read between the lines" or to find themselves what you are offering. Solution: Focus on communicating directly with your audience and be straight forward. Your goal: people must know exactly what type of business you are conducting within a few seconds! Your idea deserves a great site! Start today, for free!